I don’t know what the heck I’m feeling right now. But everything is in flux, and it makes me… extremely uneasy. I’m trying to train myself to manage a little unsettled mess, a little flux, bit by bit. I’ve heard about a cognitive behavior therapy technique wherein a person is given controlled exposure to something that makes them feel uncomfortable, or feel anxious. They might rate that level of discomfort on a scale from one to ten, and they need to allow themselves (with support from a trained professional) to get to “ten,” so that they can experience it, recognize that it will subside, and learn that they can handle it. I think that’s how it works, anyway. I had two dear friends over for dinner tonight. After dinner, all I did was clear the table. I did not do dishes immediately. I sat down in the living room with my friends. That’s totally normal behavior for most of the world out there. For me, no. Dirty dishes in the sink or on the counter? I get uncomfortable. Like to a “ten” on that discomfort scale. But I got over it quickly: My friends put me ease. The dishes were done at the right time: after my friends left. I know, I’m a bit strange. I just need clean, clear spaces. I need “order” and “control.” As you can imagine, this poses a slight problem for a corporate wife in the habit of following her spouse wherever and whenever he has to go. Like I said, I’m trying to train myself to be okay, even temporarily, with disorder and a lack of control. It might be working. We all get uncomfortable. We all have our “thing” that sets us off, that makes us unreasonable or defensive or territorial or protective, or even just mildly stubborn. But then, for the most part, we each figure out a way to find comfort again. Discomfort, or fear–they’re not sustainable conditions. Too much cortisol? Your body doesn’t want that. It’s the swing between comfort and discomfort, or safety and fear, that makes the difference. 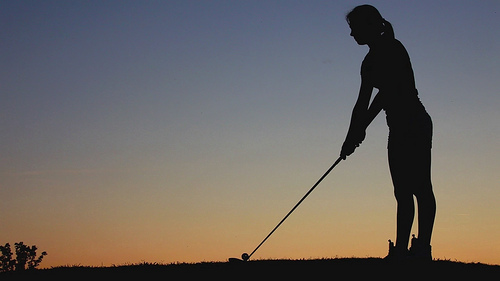 Consider that journey past “ten:” Is your swing short, or is your swing long? Are you able to see your discomfort subsiding sooner (short swing) or is it hard to visualize its demise (long swing)? About ten years ago, my father-in-law was teaching me to swing a golf club properly. New to the game, all I wanted to do was hit that ball hard, and get it far, far away, to where I wanted it to go. More often than not, I’d fail miserably. My swing was too long, for one thing. Here’s to short swings. Nice and easy. The ball will get there. OMG, what a powerful post. Hang in there. You are so well-grounded. This provided so much perspective and wisdom for me. Thank you Mark! I hope you’re hanging in there, too. I am. I’m getting a small taste of what a commuter marriage I s like, and I don’t understand how any couple could do it for a serious length of time.